Over the past 12 years, Bengaluru has played host to the world's premier 10K race. The event receives international applause for its formidable elite field and mass participation. Every year the event is graced by the crème de la crème of the running elite across disciplines. 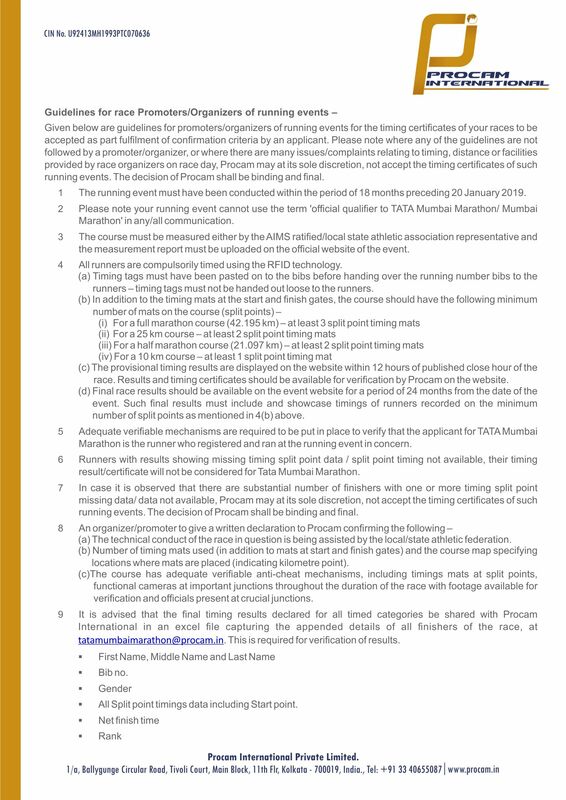 TCS World 10k also has the prestige of being one of only four AIMS certified IAAF Road Race Gold Label 10k. Beyond a globally acclaimed sporting event, the TCS World 10K today has created a phenomenal impact in terms of social change and prides itself as the largest sporting charity platform in South India. Bengaluru as a city continues to set new milestones and create new ones - the pride of putting Bengaluru on the running map of the world. The pride of the rejuvenation of Cubbon Park and setting new benchmarks for giving back to the city. The pride of being an inclusive, welcoming city with strong ties back to its own unique culture. The pride of creating a healthy spirit of competition that inspires thousands to get fitter. The pride of being part of the world’s premier 10K race, the TCS World 10k Bengaluru. It’s this sense of pride that inspires Bengaluru to put its best foot forward every single time. This time at TCS World 10k Bengaluru, #Feel The Pride.